The purpose of The American Legion of Iowa Essay contest is to develop deeper knowledge and appreciation for the United States Flag on the part of elementary level students. Other objectives of the contest include the ability to gain knowledge of flag etiquette and respect for the flag. Participants shall be citizens of or lawful permanent residents of the United States. All contestants must be students enrolled in the fifth grade in a public, parochial, military, private or state accredited home-school. The essay is to reflect the student’s perspective of what the United States Flag represents to them using facts from the United States Flag Code. A copy of the 20-minute video, “For Which It Stands” and it is available through Emblem Sales (Item #755.400) at a cost of $9.95. Local and District Contest awards, if any, will be the responsibility of the individual Posts and Districts. The contest must be completed in time to be forwarded to Department of Iowa American Legion, 720 Lyon St., Des Moines, Iowa 50309. Each of the three Department finalists will be recognized in the same manner as other youth champions and the top three winners will be invited to read their winning essay at the Department Convention. First, second and third place winners will receive $300, $200, and $100, respectively, from The American Legion of Iowa and Iowa Foundation. Individual Legion Posts will forward one winning entry to their District Children and Youth Chairman, with signed Participation Application, postmarked by January 2, 2018. District entries will be judged by the respective District Children and Youth Chairman, and sent to Department Headquarters, postmarked by January 22, 2018. Local Posts should begin working with their schools and home-schooled students in their community in September each year. Deadline for submission of the District winner must be certified and forwarded to Department Headquarters, postmarked not later than January 22, 2019. Establishment of Policy: When consulting with any youth participating in an authorized event, TWO adults will be present. This policy applies to all official programs and events recognized by The American Legion of Iowa. When I look at the flag, I see hope. The hope that I held in my hands as I flew to this great nation. When I arrived from my old home, China, I was afraid. But the flag that I saw as I arrived made me feel better. I watched the flag sway back and forth, the stripes and stars shining at me. It made me feel many emotions, but most of all, happy. When I look at the flag, I see freedom. The freedom that people of all races can sit in one classroom united as a whole. That no matter your appearance, you are created equal. The freedom to follow your dreams and hpes. For it doesn’t matter what’s in the outside, but the inside that matters. When I look at the flag, I see the red white and blue. The red stripes respresenting hardiness and courage. The white stars ands tripes representing purity and innocence. And the blue representing vigilance. I see the stars shining at me. The 50 stars representing 50 states united as 1 whole. When I look at the flag, I see bravery. Bravery to do something that has never been done before. Like how Rosa Parks didn’t leave that seat. How her simple act of bravery would soon make african americans equal to everyone else. How a little act of bravery can leave a huge Impact. When I look at the flag, I see astornauts putting this symbol of freedom, hope, love, courage, and bravery on the moon. I see the colonists waving this majestic flag in parades celebrating their independence. And then, I see myself writing about this flag that has changed so many American lives. To me, the flag means a lot of things. Like freedom, and the courage of those who defended, protected, and fought for the beautify flag of the United States of America. So many people gave the ultimate price for that flag. They gave their life. Some people don’t respect the flag like they should. Have you ever turned on the tv and saw a sports player kneeling during the national anthem? I just hate that!! These are some things I learned, and their very important! The flag is not just a piece of fabric, it’s a symbol of you and your country. When a flag gets old, don’t throw it away! There is a special ceremony where they burn the flag. It is called a ‘retirement’. The thought of a flag sitting in a dump for who knows how long just disgusts me! That flag has done its duty, and it should be properly disposed of. I odn’t know about you, but I am devoted to our flag. Thirteen stripes for thirteen colonies, and fifity stars for fifty states. It’s very beautify, flowing in the wind. Most of my family served in a war. They were serving our country. The flag is very, very special to me because they could have died but still they chose to serve the flag. The flag is important. I will choose to serve it forever. And when our country calls, it knows where to find me. People show love for each other by creating things like the blanket that my Grandma made for me when fabric. When Betsy Ross created the flag in 1776 to present to soldiers she wanted to unite them to fight for their lives. This flag is more than a piece of fabric, it reminds us of what makes up America, provides history through the stripes, and stands for freedoms given by soldiers. The flag is a symbol of our country. Americans see the white which stands for purity and innocence. The blue canton signifies vigilance, perseverance, and justice. The flag has fifty stars that represent all of the states, the 29th star stands for Iowa. I am thankful that Iowa is a part of a free country. The colors of the flag are bold and bright to represent our nation. The 3rd stripe stands for the courage and bravery of our soldiers. 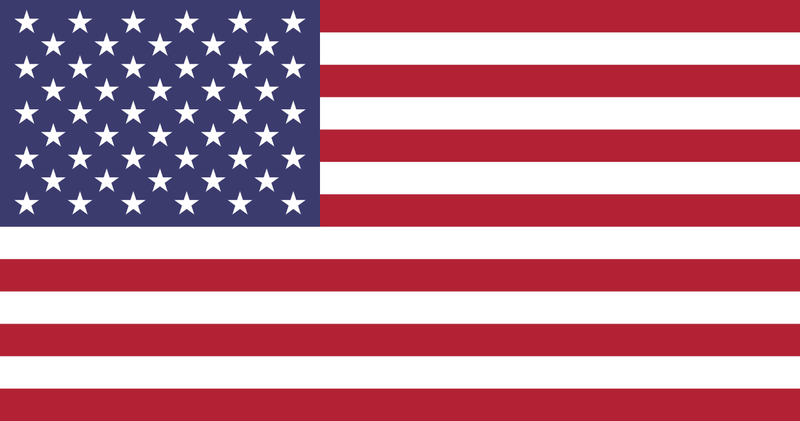 The 6th stripe represents “The Preamble” which ensures Americans’ right to life, liberty, and the pursuit of happiness. The 10th stripe reminds Americans of “The Gettysburg Address” given by Abraham Lincoln when he declares that “all me are created equal”. The flag reminds Americans of the gratitude for the soldiers that have fought to give our country freedom. Americans have the freedom of speech so they can express themselves. Americans have the freedom of religion, they can believe in whatever they choose. Soldiers fought not only for their lives but for all the citizens of the United States. Soldiers saved our country and gave us all these freedoms and rights. Every Americans should be thankful when they see the flag. This unforgetable piece of fabric is a symbol of our country, our freedoms, and rights. I will always be thankful and loyal to our flag.